Microsoft to bring tech to Windows Mobile instead? Steve Ballmer has told the world that a Zune phone is not coming in the future, with Microsoft instead looking to bring the brand name to mobile handsets via its Windows Mobile platform. He told Reuters "I do not anticipate us building a phone. Sorry, we are not going build one". Which seems pretty concrete, we guess. Looks like Apple won't have to 'worry' about the Zune competing in the mobile space in the same way it has in the PMP market. But it's not game over for the Zune name in the mobile world. Ballmer said to CIO Magazine: "What you'll see more and more over time is that the Zune software will also be ported to and be more important not just with the hardware but on the PC, on Windows Mobile devices, etc." 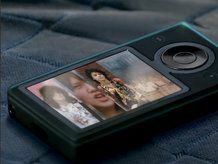 So, with the release of Windows Mobile 7 coming in the next nine months or so, the Zune software that has had a lukewarm reception in the US might be given a new lease of life on mobile phones, perhaps in the same way as the N-Gage on Nokia handsets.